The Culture of the Byzantine Empire presents a succinct and engaging overview of the Byzantine Empire for children. It is recommended for elementary and middle school libraries and teachers' classroom libraries. 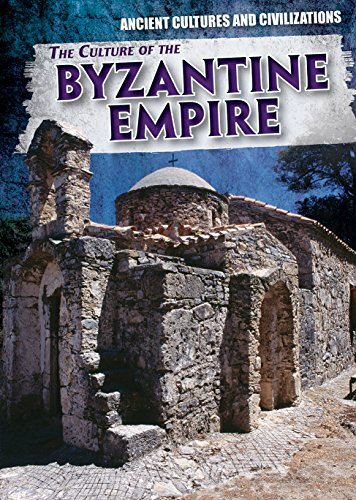 As with the other books in the series entitled Ancient Cultures and Civilizations, the book The Culture of the Byzantine Empire by Vic Kovacs has a straightforward goal: to present a succinct and engaging overview of the Byzantine Empire. Generally, Kovacs successfully accomplishes this aim. Chapter One provides a broad overview of the Byzantine Empire. Chapter Two outlines the rise of the capital of the Byzantine Empire, namely Constantinople, and major cultural aspects of Constantinople, such as architecture, its association with the Roman empire, the population, and education. Chapter Three shifts to the leadership of the Byzantine Empire, briefly describing the role of religious leaders and a few major religious conflicts, namely conflict with Islam and the iconoclast movement. As the Byzantine Empire gave rise to the Greek Orthodox Church, missionaries became important for the Empire, not only functioning spread religious conviction but also creating the Cyrillic alphabet for the Slavs. Chapter Four describes how the Byzantines engaged in conflict against hordes of Barbarians and the Islamic empire. Particularly interesting is how the Byzantine Empire appears to have established a sort of foreign intelligence agency. Finally, Chapter Five describes how the Byzantine Empire fell in 1204 CE during the Fourth Crusade, the capital city of Constantinople being renamed as Istanbul. Nonetheless, the fall of Constantinople resulted in movement of Byzantine scholars to Italy, who shaped the Renaissance, the spread of Arabic science to Italy, and the spread of the Orthodox Church, a political and religious force present to this day. The book highlights the central aspects of Byzantine culture & society during their height of power, along with the elements which resulted in the rise & fall of the Empire. As a very broad overview, this book is helpful for younger students. It highlights the central aspects of Byzantine culture and society during their height of power, along with the elements which resulted in the rise and fall of the Empire. In terms of chronology, though, there is a glaring absence of material: what happened between 800 CE and 1300 CE, namely between the Byzantine Empire fighting off Barbarian hordes and Islamic forces up to the fall of Constantinople during the Crusades? Though extensive detail is not necessary, the book would be more helpful if it at least outlined the factors which contributed to the weakening of the Byzantine Empire, a weakening that has the most concrete toll on the Empire in the 13th century CE. Likewise, though the book is primarily about culture, it is safe to presume that culture in the Byzantine Empire was not static between 800 CE and 1300 CE. Therefore, it would also be helpful if Kovacs had outlined a few aspects of cultural change over the 500-year period. This would contribute to preventing readers, namely kids, from developing a historical understanding which assumes that cultures never change over time. Even with these two criticisms, The Culture of the Byzantine Empire still provides a helpful introduction to the rise, fall, and culture of the Byzantine Empire. I recommend this book for elementary and middle school children. Kovacs, Vic. "The Culture of the Byzantine Empire." Ancient History Encyclopedia. Last modified April 10, 2019. https://www.ancient.eu/review/209/. Kovacs, Vic. "The Culture of the Byzantine Empire." Ancient History Encyclopedia. Ancient History Encyclopedia, 10 Apr 2019. Web. 19 Apr 2019.